This book stand makes the ideal holder for books and tablet PCs, a great solution for when you're busy in the kitchen and need somewhere for keeping those recipes in view. 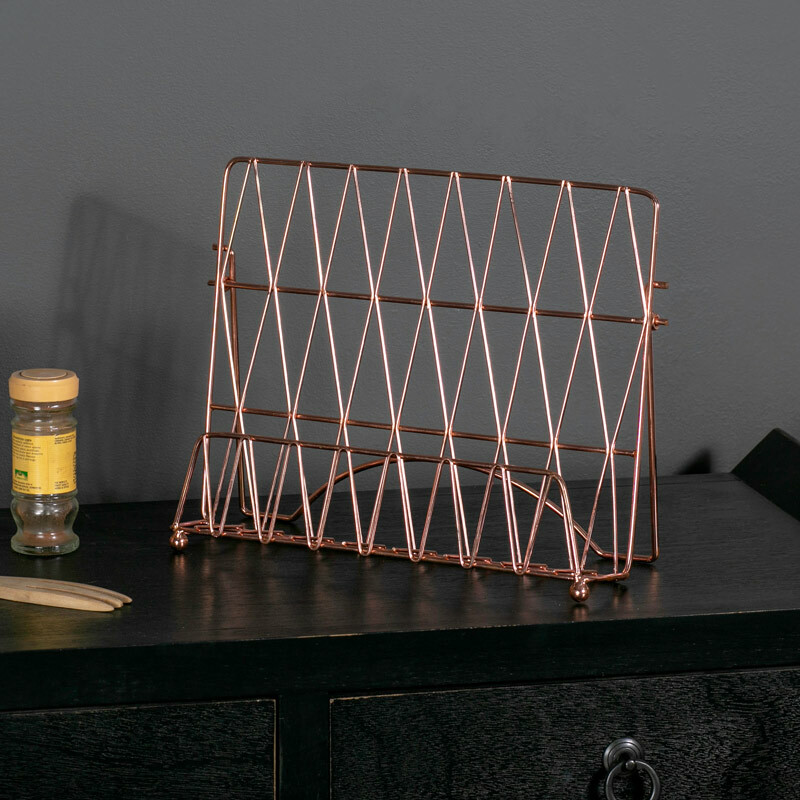 Polished copper metal stand that adds a great look to your decor with copper being so on trend. Adding a modern look to your home decor with diamond shaped wire frame. Practical and stylish this stand can be used for display artwork or holding photos for a unique look. 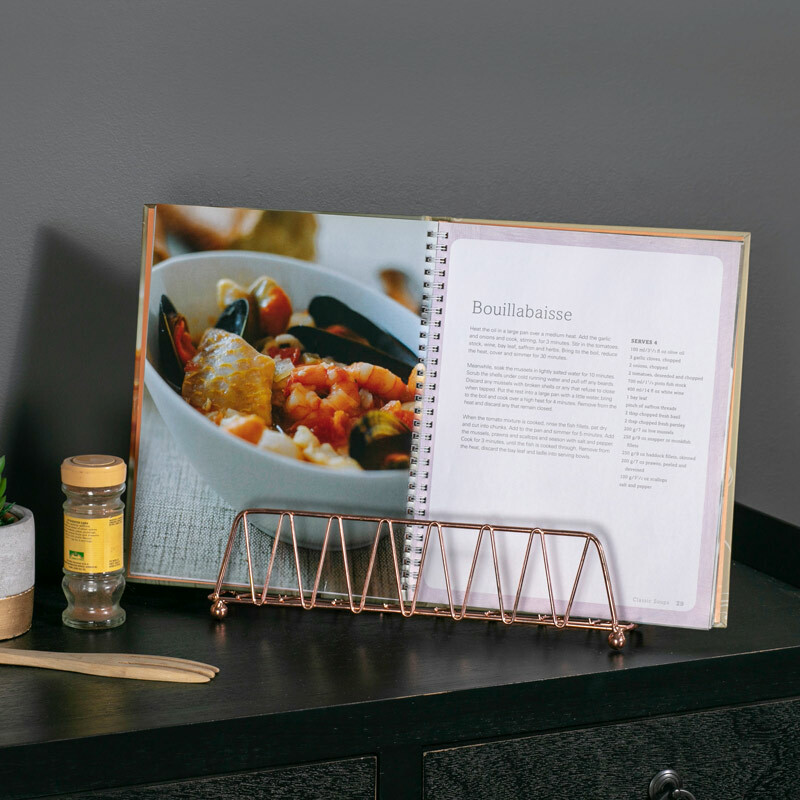 This book stand makes the ideal holder for books and tablet PCs, a great solution for when you're busy in the kitchen and need somewhere for keeping those recipes in view. Polished copper metal stand that adds a great look to your decor with copper being so on trend. Adding a modern look to your home decor with diamond shaped wire frame. Practical and stylish this stand can be used for display artwork or holding photos for a unique look. Made from metal in a polished copper finish. The stand extends to 9cm, this does require a minor adjustment with the stand to be pulled out from the ring holders and then reinserted for it to stand.